Nakajima Taishodo Golden Sweet Potato Cake- A squishy, slightly dry sweet potato cake with hints of cinnamon and rum. 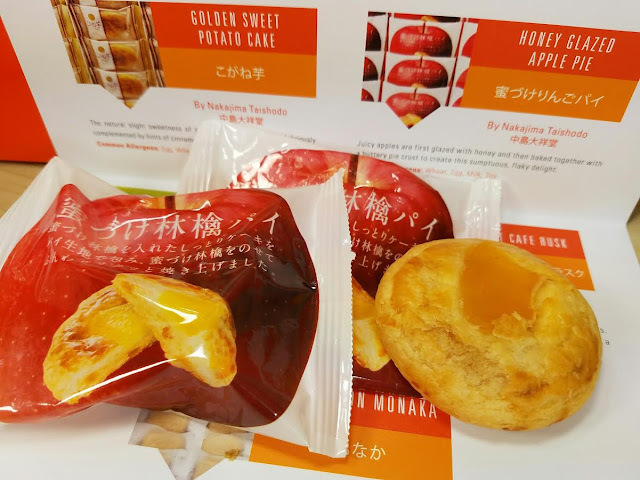 Nakajima Taishodo Honey Glazed Apple Pie- A flaky pastry with a honey apple filling. Very tasty! 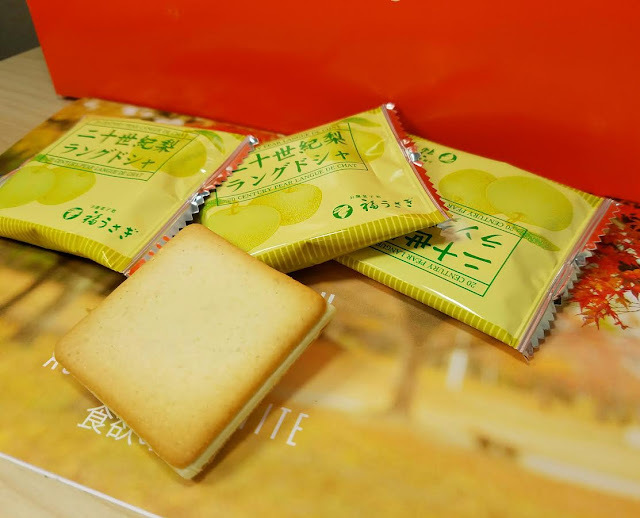 Okashi No Kotobuki Jou 20th Century Pear Langues de Chat- A crumbly butter cookie with white chocolate and pear filling. This was very good! Tokyo Rusk Hazelnut Cafe Rusk- A thin slice of twice baked baguette topped with hazelnuts and caramelized sugar. Yum! 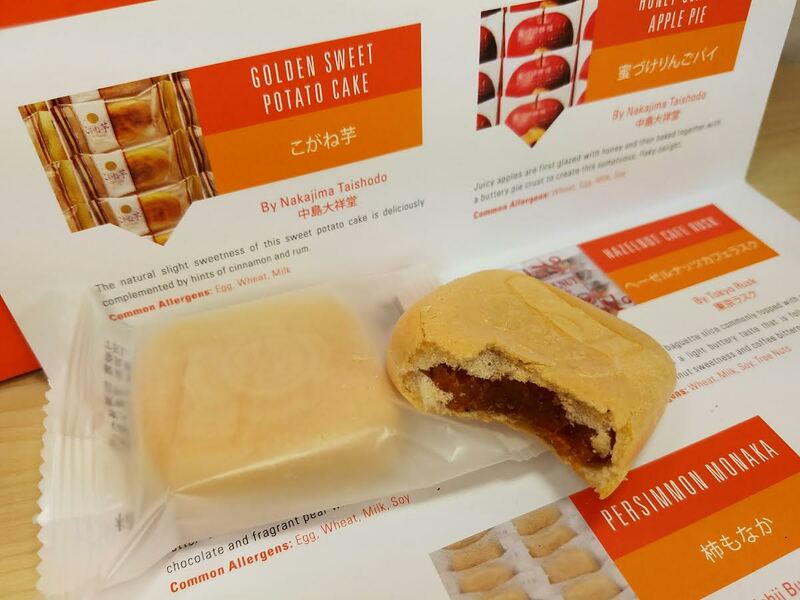 Ishii Bussan Persimmon Monaka- Persimmons have been grown in Japan for 1300 years! This has a wafer outside and a tangy sweet center of persimmon and yuzu. Yamamotoyama Apple Green Tea- This is the same brand as my favorite Gen-Maicha tea. It's quite tasty and really does have apple bits in it. 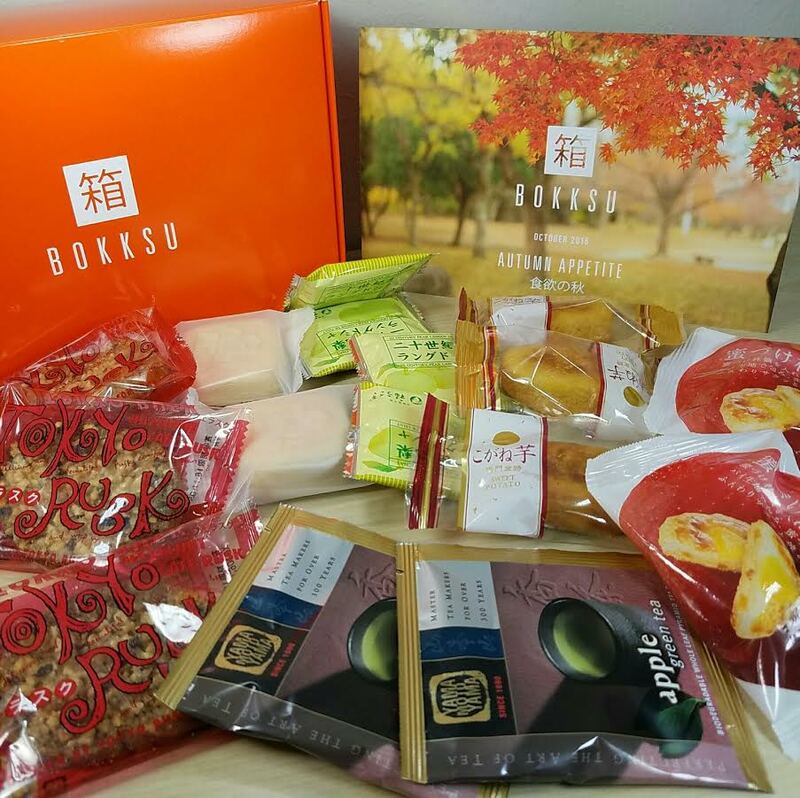 VERDICT: A fun collection of seasonal snacks from Bokksu this month! 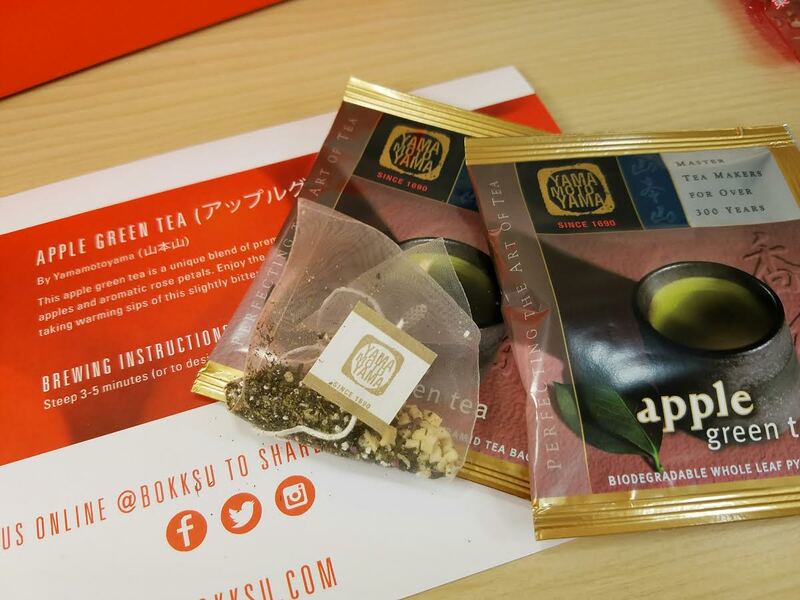 This subscription is unique with it's snacks and tea pairings. 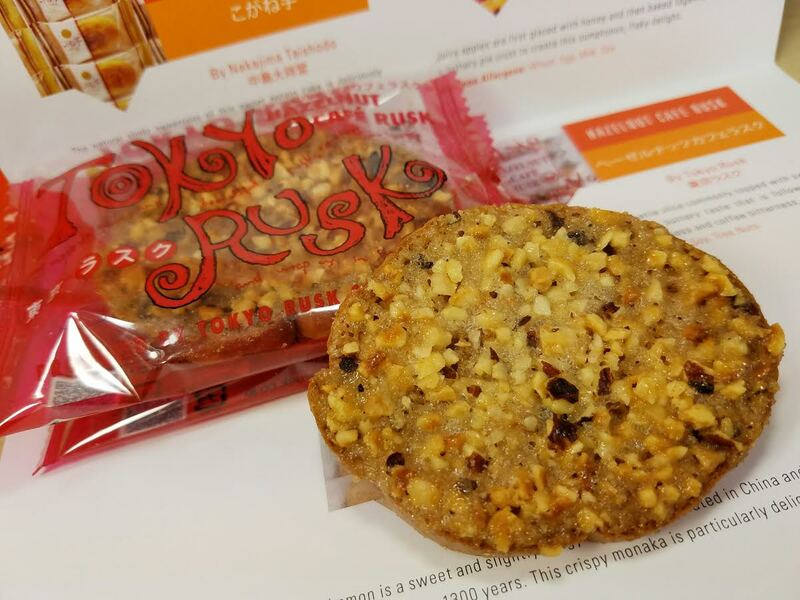 If you are a true connoisseur of Japanese snacks, you'll definitely enjoy this. 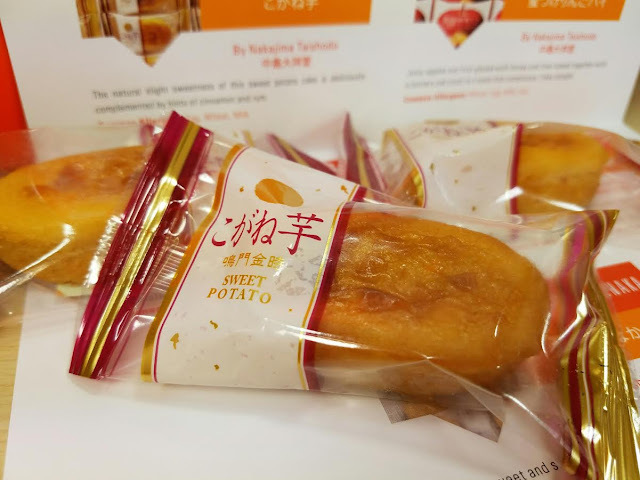 I also think it would be a nice gift for someone who may be missing Japan since these snacks might be hard to find here. It's always nice to get multiples of the treats, too. If you would like to sign up for Bokksu, you can do that here. Use code BITBOX for 10% off your first month. Since this review is for the October box, keep in mind that November's is currently shipping and if you choose to sign up, you'll likely start with the December box. What do you think of these snacks? Are they more appealing than the brightly colored DIY kits and little candies? SO much more inviting,classic, and adult than DIY mix it up and then paint it " toy" candies the kids in Japan seem to love. I think it's a bit unsanitary... maybe because the most memorable toy candy I got was an overflowing toilet. Can't even make that stuff UP. Also, I hate the tiny loose ( usually wrapped) candies that some box companies take out of a huge bag and scatter around like we are SO greedy that we will dig through the shredded paper to find them. Nope. I'm not sure how this box compares to Snakku though. Do you feel up to a comparison in your opinion as someone who has lived in Japan? I feel very loyal to Shigeki from Snakku, who sends the most gorgeous emails about towns and events in Japan, even when I have been dieting and not buying any food boxes. I hope it's not rude to ask your opinion of the two boxes, both with more upscale and appetizing contents. They're different although I do think they are the only two that do snacks like this. Bokksu adds in a tea pairing but Snakku adds in some of the more popular candies. I think they're both on the pricey side but I'm guessing it's fairly difficult to make connections with small, family owned snack shops and get them to send it overseas. So far, I don't think any of the snacks have been the same which is nice. I think both boxes are perfect for the right person. I feel like that would be someone missing home or someone who loves unique and unusual snack types.